Pilate was amazed that Jesus gave no answer to the charges against him. This may amaze us too, since we are always ready to defend a cause—particularly our own. Yet, Jesus was determined to face the consequences instead of argue his case. He had already committed himself to the will of his Father (Matt 26:39). It may also have been that Jesus did not answer Pilate because he was already in a conversation. He may well have been praying at that moment. What else could account for the peace he displayed while facing a death penalty and the hatred of the very people for whom he was willing to die? 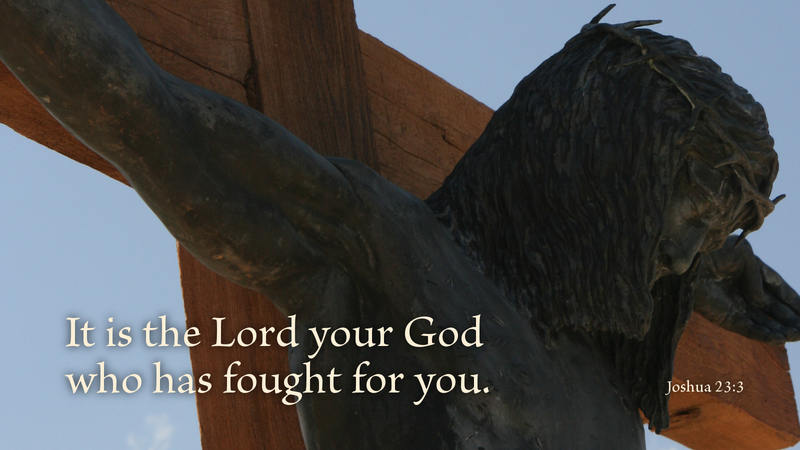 Jesus was at peace, knowing the Father would fight the battle before him, just as he promises to do (Josh 23:10). If only Peter and John and the other disciples had striven together with him in prayers on his behalf (Rom 15:30), then God’s peace would have been with them too. When we are accused by people, the best response is prayer, not defense. Silence often speaks more than words, but when our silence is accompanied by prayer, the silence is amazing. Prayer: Father, help me trust that you are fighting the battle. Amen.